Good news for passengers used to flying British Airways’ Boeing 747 jets from San Francisco, New York and elsewhere. BA is helping the “Queen of the Skies” age gracefully with plans to outfit eighteen 747-400s with new entertainment throughout, and upgrade seats in the economy and premium economy cabins. BA admits these “much-loved” planes, which “have a special place in the heart of many of our customers” need sprucing up to compare favorably with the draw of younger birds, such as its big new A380s, 787 Dreamliners, or its shiny new 777s like the ones recently put into service on the Atlanta-Heathrow run. The big news for passengers, especially those whose travel budgets don’t stretch to the airline’s business class cabin, is an upgrade to the entertainment and power systems on board. BA’s “next-generation” entertainment system will offer twice as much content and a brand new tablet-style interface. 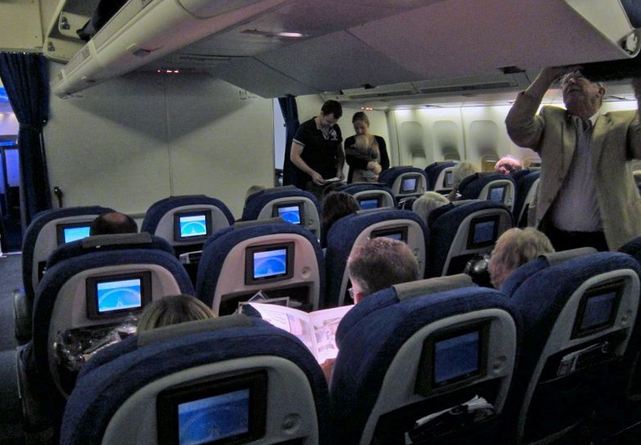 BA’s introduced its unusual forward-and-rear-facing business class seats in 2000, but the current version dates to 2006. Most of BA’s 747s have seen refurbs of the first class section in recent years, and the airline isn’t currently selling the “old” First cabin as First Class. Instead, lucky high-status business class flyers will get to sit in what used to be first class, though they’ll see the business class service. British Airways confirmed to TravelSkills that the very small number of 747s that still carry the “old” first cabin will be withdrawn from service next year. British Airways has been concentrating on its inflight entertainment recently, with the addition of content from HBO and the Discovery Channel, with new programming like a “paws and relax” section for the pet lovers, or a video showing the relaxing monotony of the sights you’d see on a Norwegian train journey. Also in the cards: a full universal (UK, US, EU, etc) power outlet in premium economy, and a USB socket in economy. That’s a big step up from the annoying (and aged) EmPower port in premium economy and a big fat nothing down the back. As for the seats, unfortunately there’s no upgrade planned to bring the seats up to the standard set in BA’s newer A380 or 777-300ER planes — see here— although the airline will try to make them look similar. 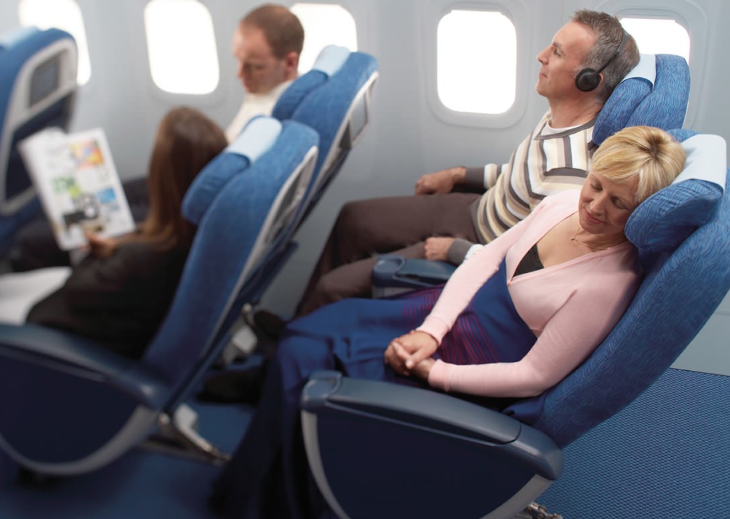 They’ll still be the same seats, but “new seat foams will be installed in World Traveller and World Traveller Plus to increase customer comfort and new style seat covers fitted to improve appearance and match those on the A380 and 787,” BA says. The refurb is going to take a while: British Airways says 18 refits won’t begin until August 2015, and will be completed a year later, in August 2016. Unfortunately, since the seats are a like-for-like refit, it’s unlikely that you’ll be able to tell if you’ll have a refurbished bird when booking. The airline has nearly 50 747s still in use, though as more Airbus A380, Boeing 787 and particularly Airbus A350 aircraft reach the fleet the older planes (which date back as far as 1989) will be retired. According to Flightglobal, BA will speed up the retirement of older planes as larger 787-9 planes and the bigger A350s start arriving from 2017. In the meantime, hope is not lost for a more modern experience on British Airways, which has finished taking delivery of a fleet of 12 Boeing 777-300ER planes with new seats and all the mod cons. These new planes started flying on BA’s Atlanta flights just this month. And of course, there’s BA’s new A380s from LAX, soon from Washington, Dulles, and from San Francisco next April.